Who Does the Cash Back Rewards Plus Appeal to Most? Decision Time: Is this USAA Credit Card the One for You? Getting a cashback rewards credit card is something that could be a very good decision. You will be able to earn rewards for buying things that you will need to purchase anyway. If you have access to a solid cashback rewards card, then these rewards can actually be quite lucrative. It can be helpful to earn these rewards, and it will help to mitigate some of your expenses if you are able to use this card intelligently. Of course, there are a plethora of different cashback rewards cards on the market. With there being dozens of similar cards to choose from, it can be tough to figure out which cards are worth looking into further and which should be ignored. Thankfully, we are capable of doing the hard work for you so that you can have an easier time making an informed decision. Today we are going to be taking an in-depth look at the USAA Cashback Rewards Plus American Express Card. If you are at all familiar with the USAA cards, then you should know that they have proven to be quite beneficial to military families. This is a cash back rewards card that offers some good features and has better rewards potential than many other similar cards. Is it going to be worth your while to sign up for this one? Continue reading to find out as we examine everything that this credit card has to offer. You'll earn 5% cash rewards on gas and military base purchases (first $3000 spent annually). Earn 2% at supermarkets (first $3000 spent annually). This is a decent cash back option for military personnel. It has no annual fee and offers a lower deployment APR. It also earns extra rewards on certain spending. One of the most important things that make this card stand out is that it has no associated annual fee. You will not need to pay the credit card company just to keep this card in your wallet. It makes it easier to want to sign up, as you will not need to try to earn enough rewards to cover an annual fee. The other fees on this credit card are pretty reasonable, as well. Balance transfer fees on this credit card are very standard overall. You will be paying out 3% balance transfer fees with a maximum fee of $200.00. Cash advance fees are set at 3% with a maximum fee of $200.00, as well. These fall in line with many other similar rewards cards, so they should not surprise you in any way. The maximum late fee that you will be paying on this credit card is $35.00. This is actually somewhat lower than several comparable cards. It all falls within standard ranges though, so nothing about the prices or fees really stands out too much. You won't be getting any special introductory APR rates for anything either. You won't have to pay out any foreign transaction fees when using this credit card, either. This is good news for people who are stationed outside of the country. It makes sense of a military-focused cashback credit card to avoid foreign transaction fees. It just makes it an even more practical choice for military families. The APR of this credit card is potentially somewhat high for some people. It is close enough to other cash back rewards cards that it does not come across as unusual. You should be able to get a similar rate to the other top cards on the market or have one that is just slightly higher. You will be able to expect all of the normal security features to keep your credit card safe. These credit cards all come with chip card technology. The chip credit cards are very quickly becoming the standard around the world, and you can expect to have a card that will work at all of the chip-enabled terminals. All of the USAA cards stay up to date with current technology, and there is a great commitment to card security. If your credit card gets stolen or is used without your authorization, then you will not be held accountable. Not having to feel quite so concerned about credit card fraud allows you to use this card without trepidation. You will not be liable for any fraudulent purchases and will be safer than usual. This credit card has very good security too, so you should not have to deal with many issues. USAA makes it easy to get your credit card information when you need to check your balance, too. You can simply send out a text message, and you will be able to get access to your account balance and transaction history. This makes it easier than ever to keep an eye on your spending. You can budget your money easily and should enjoy how intuitive everything is to use. Your account will also be accessible via a normal website. The site is optimized for mobile, which makes it simple to make changes or check into things, no matter where you are. They put a lot of effort into keeping things as customer-friendly as possible. Perhaps the biggest benefit of being a cardholder is that you will get a special interest rate if you are on active duty. Those who are on active duty will be able to enjoy a very low-interest rate on any purchases. This makes it easier than ever to pay things down, and you can make sure that you stay on track financially. This is a great benefit for any active military personnel, and it should come in handy to keep military families safe while their loved one is off serving the country. This special interest rate will last for quite a long time, too. It can go on for up to 12 months during deployment or PCS. This is a handy benefit that will make life just a bit easier when you are serving on active duty. Another interesting benefit is that you will be given access to a convenient concierge service. Being able to access a concierge service is something that is normally reserved for luxury credit cards. It is a nice perk to be able to enjoy, and it can be very useful. You will be able to use the concierge service to help you get concert tickets, book travel arrangements, and they can even help you to get into special restaurants. Many other standard benefits are present when using this credit card, too. For example, you will be able to receive a rental car collision damage waiver. You can also expect one-year extended warranty coverage on many things that you purchase using your credit card. These perks are a bit more standard, but they will still prove to be very useful to you. This rewards card is actually pretty good when it comes to helping you earn cash. You will be able to enjoy several bonus categories that will make it easy to earn cash back rewards. You can earn 5% cash back on the first $3,000 in combined annual spending on gas stations, exchange locations on military bases, and commissaries. This card also allows you to earn 2% cash back on your first $3,000 spent at supermarkets annually. All of your other purchases will earn you a standard 1% cash back rate. Admittedly, the 1% cash back rate is not all that good, but it is completely unlimited. If you can maximize your spending on the bonus categories, you will be able to earn a good bit of your cash back every single year. It can be a fairly helpful rewards card to keep around, and it is very practical for military families. There are other cash back rewards credit cards on the market that have a higher earning potential. This may not be the best card for those who are looking to earn very high numbers of cash rewards, but it can still be quite useful. If you buy a lot of groceries with your credit card, then you will be able to take advantage of the bonus category. It should be easy enough to earn everything that you can, so it is worth keeping in mind. Redeeming rewards is simple as can be, too. You will be able to redeem your rewards as statement credit very easily, and it should never be too difficult to do. The customer service team that is associated with this card is top-notch, so you will be able to ask for help at any time. If you ever need help with redeeming rewards, you will always be able to reach out. This card does have good overall rewards potential. If you take advantage of the bonus categories, then you can earn a pretty good chunk of change as cash back rewards. This will make it worth your while to sign up for the card. The bonus categories are pretty standard things, too, such as grocery purchases, which makes it easy to earn the maximum amount of rewards that are possible. You don't need to worry about an annual fee with this credit card either, so it is a practical one to keep around. Not having to pay out money just to use the credit card each year is a good thing. You will be able to enjoy using this credit card without having to deal with too many fees at all. The fees that are present are within normal ranges, which makes them feel pretty harmless overall. 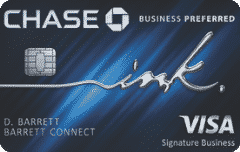 No foreign transaction fees are going to hold you down when you use this card. You will be able to use this credit card readily if you are stationed abroad. It keeps things very practical for those who are serving on foreign military bases. This is a very good card for military families that have to travel around. Lastly, that active-duty APR rate is a very nice perk. Being able to enjoy a very low APR while you are on active duty is going to be quite helpful. It may not be reason enough to sign up by itself, but it is certainly a helpful feature. The APR on this credit card may be a bit high. If you compare this to other similar cashback rewards credit cards, then you will likely see that the interest rate of this card is a bit higher. It is not an extreme difference, but it may still be a bit on the high side. You will want to keep this in mind before signing up. The lack of an introductory APR rate is somewhat disappointing, too. You will not be able to enjoy a special APR for the first 12 months, as you can with many other credit cards. This may limit the appeal of this credit card for some people. This is definitely not a credit card that you will want to transfer a balance too unless it is absolutely necessary. You may also dislike that there is no sign-up bonus to speak of when looking at this card. Many similar cards will offer lucrative sign-up bonuses to sweet then deal. This card does not have any bonus deal or anything else special to draw you in. It does have good standard rewards potential, though. In order to be approved for this credit card, you are going to want to have a good credit score. People in the very high 600s should be able to be approved for this card. A score close to 700 will be a safe bet. You may wish to check your credit score ahead of applying so that you can ensure that you meet the requirements. As you likely expected, this credit card is going to appeal to military families. You will not even be able to sign up for this credit card if you do not have some type of military affiliation. To become a cardholder, you need to either be in the military currently, have served in the past, or you must be the adult child of someone who is a USAA member. This does limit the appeal of the card somewhat, but it is still a good option for those who can make use of it. Being able to sign up for this card does come with various benefits. This can make it practical for you to justify signing up for the card, as it offers good rewards potential. Anyone who has an interest in earning cash back rewards on regular purchases will like this card. It offers a good cashback rate for the first $3,000 you spend in various categories. You will even be able to earn that 1% back on all purchases that you make, so it appeals to most people who would want a cashback rewards card. This card does have a special appeal to people who are currently serving in the military, too. Being able to get that special low-interest rate while you are on active duty is going to be very helpful. It makes it easy to pay things off or to simply keep payments low. If you have the potential to go on active duty at any time, then having a credit card like this just might be especially worthwhile for you. 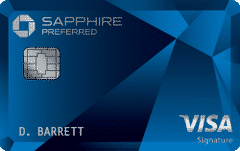 The Chase Freedom Card is a comparable credit card that you may want to consider. It will be able to stack up to the USAA Cashback Rewards Plus American Express Card in several categories. It also doesn't have any type of annual fee, and it has good potential to help you earn rewards. You can enjoy a 5% cash back rate in rotating bonus categories every quarter and 1% cash back on all other purchases. If you are unsure of whether or not you will be able to qualify for the USAA card, then you may want to stick with Chase Freedom. It offers good benefits, and it gives you the ability to earn rewards in a similar fashion. 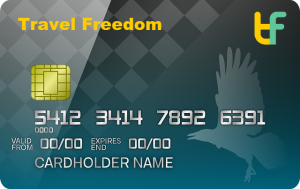 For some people, the Chase Freedom Card will even seem superior on the benefits side of things. It just depends on what you want out of your credit card. Overall, the USAA Cashback Rewards Plus American Express Card is a solid option for you to consider. Whether or not it will be up to your standards will depend on several factors. 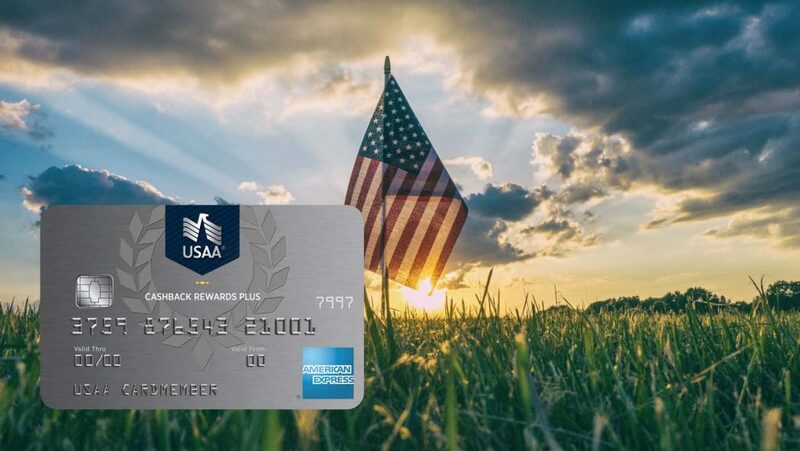 If you are a current member of the military, then this may be one of the best cashback rewards cards for you to consider. It can still be a good option for veterans and the adult children of military personnel, but the true appeal may shine with those who have the potential to go on active duty. Just keep all of the positive features in mind and see if it is a card that is going to meet your needs. It is definitely a cashback rewards card that has proven popular among many military families. It has good rewards potential, and the categories are easy to understand. This is a fairly straightforward card that should work well for you if you decide to give it a spot in your wallet.